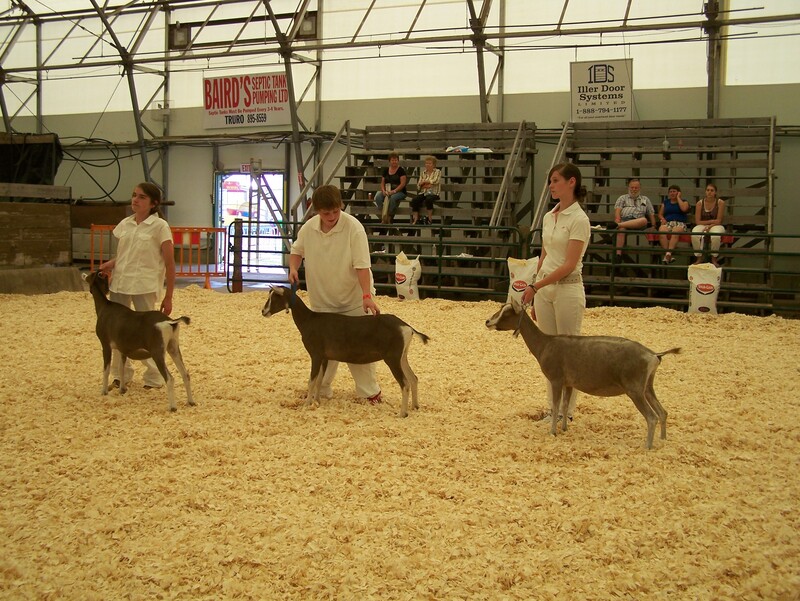 This summer was our first time entering livestock in the ever-growing Halifax County Exhibition. 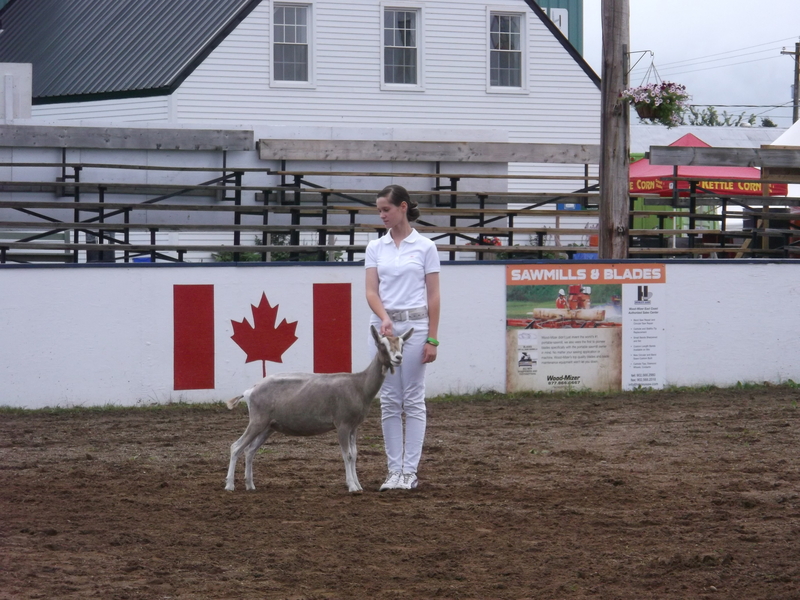 Sam was scheduled to show on the first day of competitions, Wednesday, August 14, in the 4-H show. 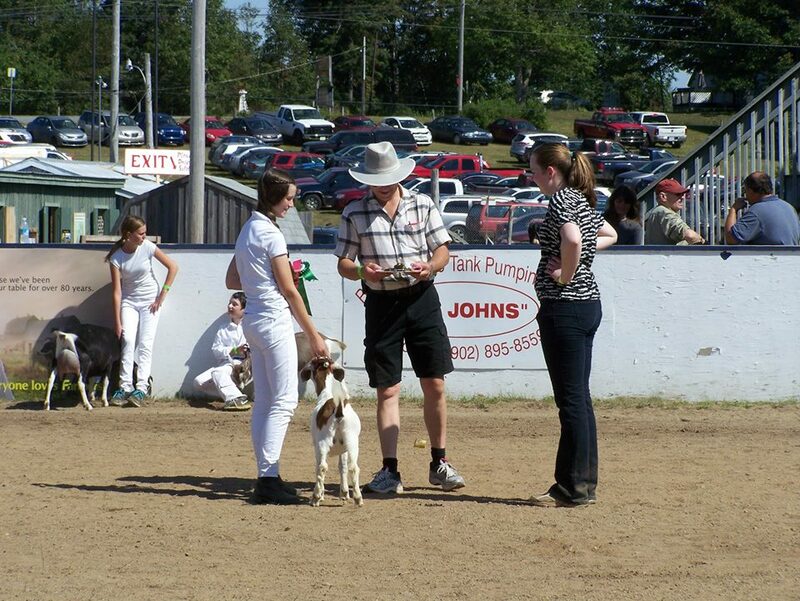 This exhibition is the qualifying show for all the 4-H clubs in the county of Halifax-East Hants, meaning that every project that placed well here got to go on and compete at the Nova Scotia Provincial 4-H show at the end of September. 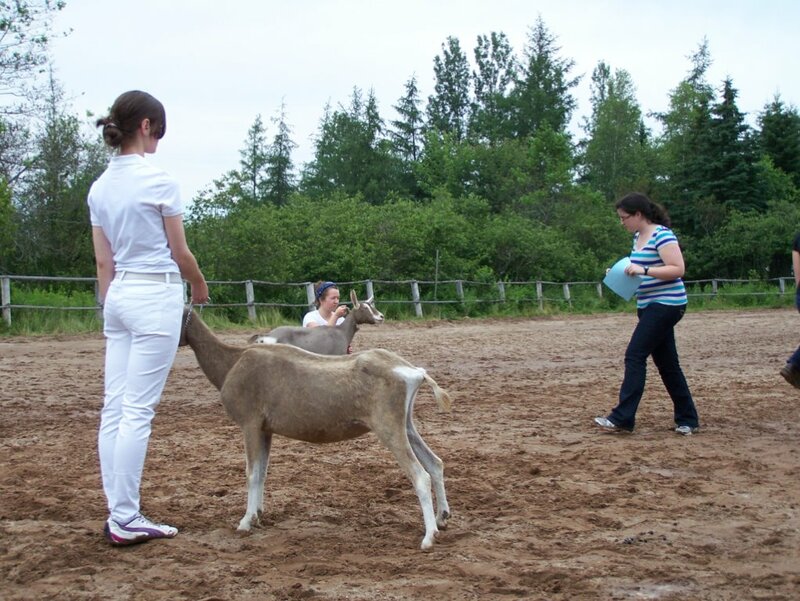 Knowing this, Sam tried her hardest to win a first or second place in all of her classes with the Summer Young goats. 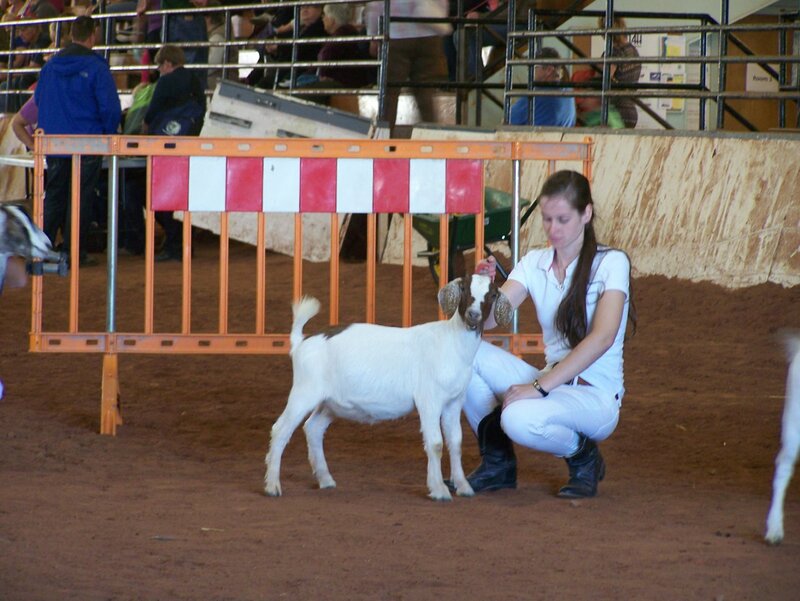 Sam exhibiting Rocky Mount Loot Spirit in the senior goat showmanship class at the Shu-Mil 4-H Achievement Day. On July 9, 2013, Sam attended her first 4-H Achievement Day at the Recreational Hall in Milford. 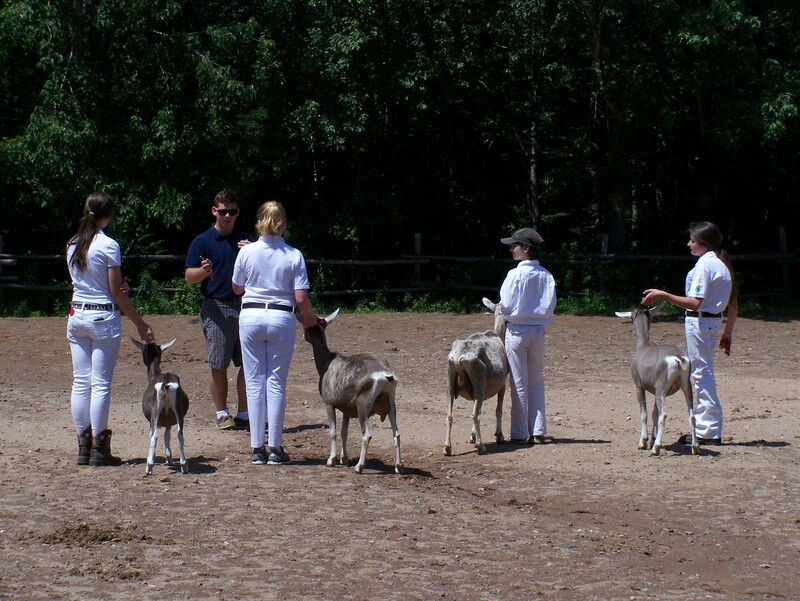 The idea of an Achievement Day is to allow 4-H members to have a “practice show” against their fellow club members. The name of Sam’s local 4-H club is Shu-Mil, so only Shu-Mil 4-H’ers showed up. At Achievement Day, every project that is completed by a member is on display for family, friends and other members to view. Everyone who completes their project is awarded a first place ribbon. If a member completes their project work (including judging of sample projects, public speaking or demonstrations and club involvement), they are awarded a gold achievement award.